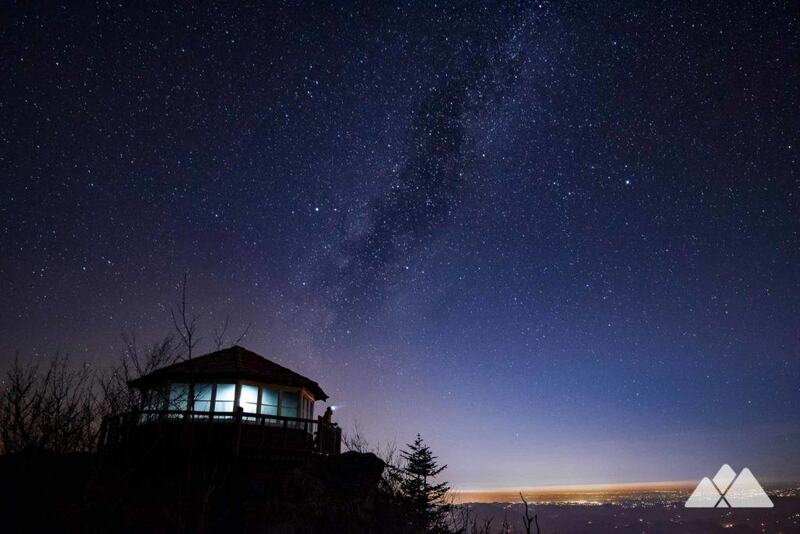 Hike to stunning summit views and the iconic, historic fire lookout tower on the summit of Mt Cammerer, following the Chestnut Branch and Appalachian Trail in Great Smoky Mountains National Park. 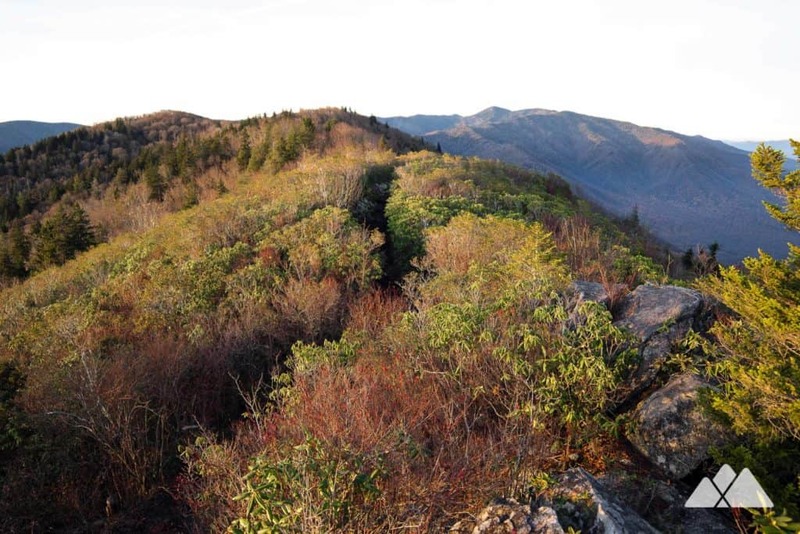 Scaling to just under 5,000 feet, Mt Cammerer is one of the more iconic summits on the Appalachian Trail’s meandering journey through Great Smoky Mountains National Park. The hike to the summit is a moderately difficult one, following the Chestnut Branch Trail and the AT on a 3200-foot climb through scenic forest. Spanning over twelve miles, round trip, this adventure makes for a lengthy day hike or a fantastic overnight backpacking journey. 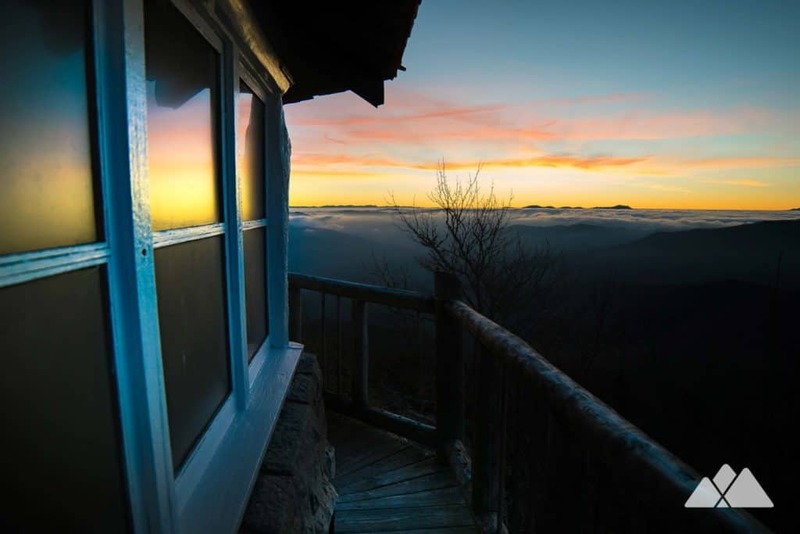 A historic, western-style fire lookout tower crowns the mountain’s summit, offering outstanding 360-degree views of the surrounding Smokies and the nearby town of Gatlinburg. It’s a fantastic hike in every season, but exceptionally beautiful in the summertime when the trail’s abundant rhododendron explode into bloom, and in autumn when fall’s colorful beauty paints the rolling peaks of the Smoky Mountains. The adventure begins at the Chestnut Ridge Trailhead (view maps and driving directions). The trailhead is located just past the intersection of Mount Sterling Road with Waterville Road: the turn-off for the trailhead is across from the ranger station on the right. From the Chestnut Ridge parking area, at 1,658 feet, the hike follows the gravel road for approximately 100 meters and turns right, through horse gates, and begins following the Chestnut Branch. Welcome to the first pitch of incline and the general trend of the hike’s journey to the summit. The trail’s single track beautifully winds its way up along Chestnut Branch. A plethora of moss-covered granite and schist careen water down toward Big Creek and the Pigeon River to the north. This section of the trail offers a mixed-bag of steep ascent and mellow traverse up to its convergence with the Appalachian Trail at 2.25 miles. The hike ascends just under 1,200 feet in this distance, which accounts for a little over a third of its total elevation gain to the summit. Upon reaching the AT, a two-way sign indicates the Cammerer summit spur trail lies to the south, and the hike turns left to follow the AT southbound. The Appalachian Trail winds its way through several tunnels of rhododendron, checkered by mountain views to the East through the thinning tree line. Stairs are bountiful here, leading to the first summit views of the mountain around 4.3 miles, as the trail winds westward below the summit. Though the summit appears near, the distance can be deceiving: a grand ascent is ahead, just under two miles to the summit and tower. Groves of mountain maple, American beech, and basswood begin to give way to spruce-fir. Several springs on the trail’s right side offer the opportunity for a water refill prior to the summit (but please remember to purify backcountry water). The trail begins a precipitous path with a stone wall dominating the trail’s left side, with vertical rock faces to the right. The hike departs the AT at 5.4 miles, making a sharp turn northbound to the summit and following the summit spur trail. Departing the summit, the return hike retraces its outbound steps to the trailhead. It’s a hiker’s delight, descending gradually to the AT, and then making a right turn on the Chestnut Branch Trail at 9.75 miles. 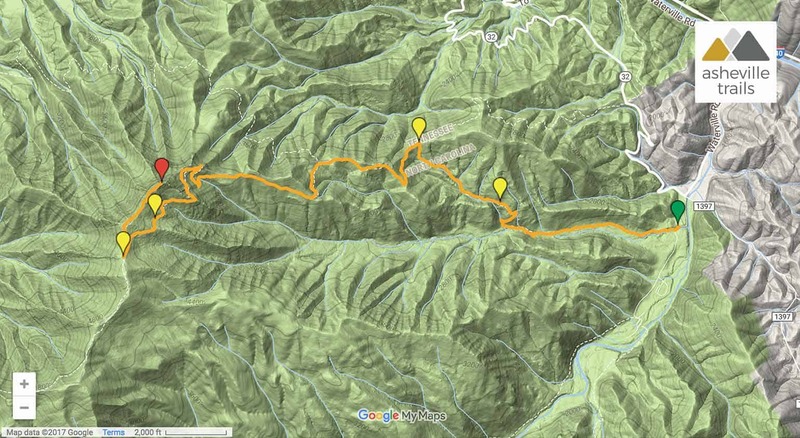 The hike reaches the trailhead at 12 miles, completing the adventure. Up for some more sublime summit views? 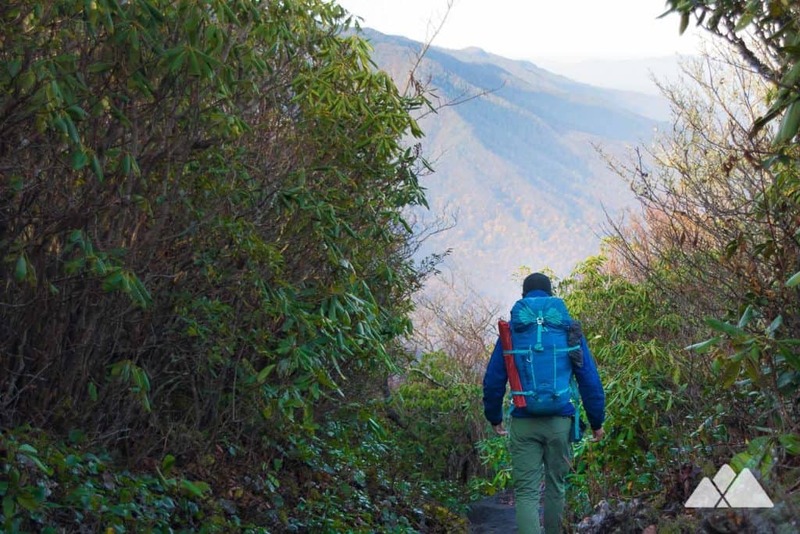 Hike the Alum Cave Trail to Mt LeConte, another of our all-time favorite hikes in the Smokies. Follow the Appalachian Trail to Charlies Bunion, catching stunning views along a rocky, rugged, and steep section of the AT from Newfound Gap. 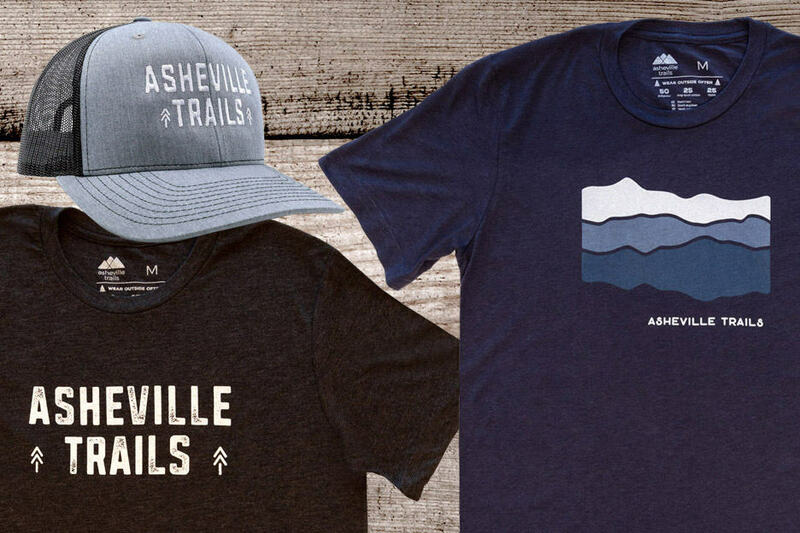 And don’t miss our favorite hikes to fire lookout towers near Asheville for a chance to score a beautiful view from another historic tower.